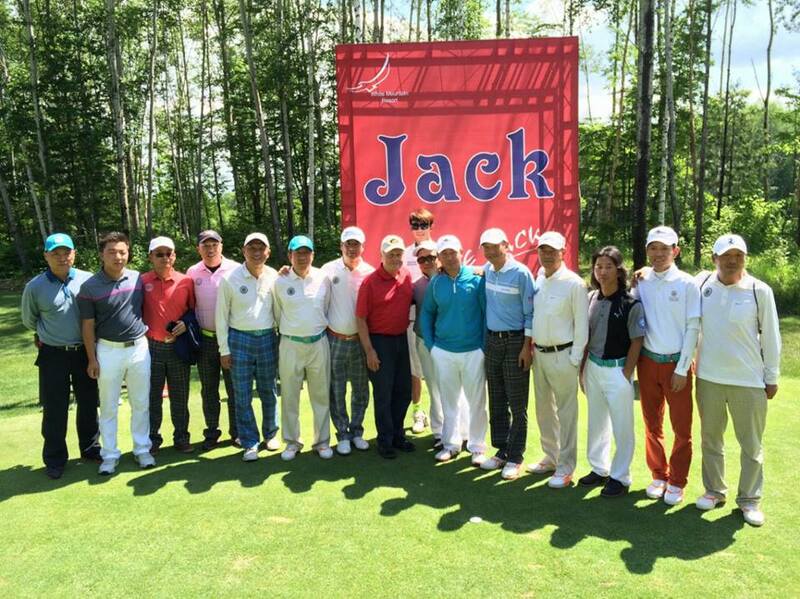 The Golden Bear made an opening visit to the White Birch Course at White Mountain Resort in the north China city of Changbaishan. This popular mountain resort is a favorite destination for skiers in the winter and golfers in the summer. The Jack Nicklaus Signature Golf Course opened last year and the Golden Bear paid a visit Saturday to officially christen the course with the resort team and representatives from the developer, the Wanda Group.